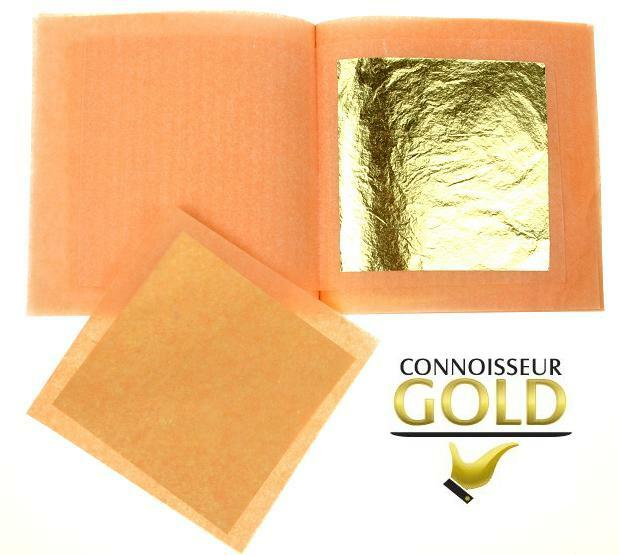 24ct Pure Edible Gold Leaf Loose each sheet measuring 80 x 80mm. You can use the edible gold sheets in a full sheet or in pieces; we also have a full selection of tools that can make using the edible gold sheets easier. Edible gold Leaf sheets are suitable for lots of uses they are particularly a favourite with wedding and chocolate cakes. 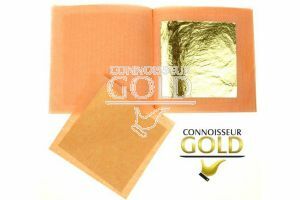 Make all your Desserts, Chocolates, Champagne, cookies have that connoisseur feel with the edible gold sheets. Gold leaf can be frozen as well as being able to be heated up to 480F meaning you can make food in advance and is suitable for vegetarians.